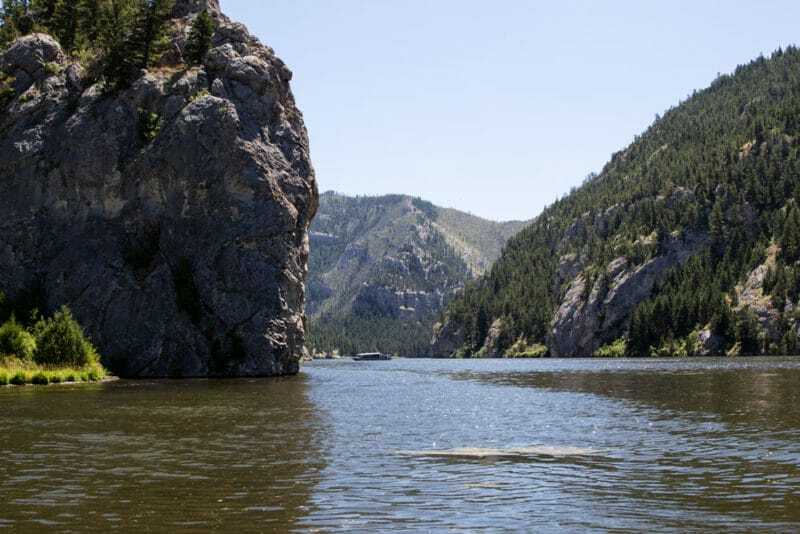 There’s more to Montana than just Yellowstone and Glacier National Parks. Like…a TON more! 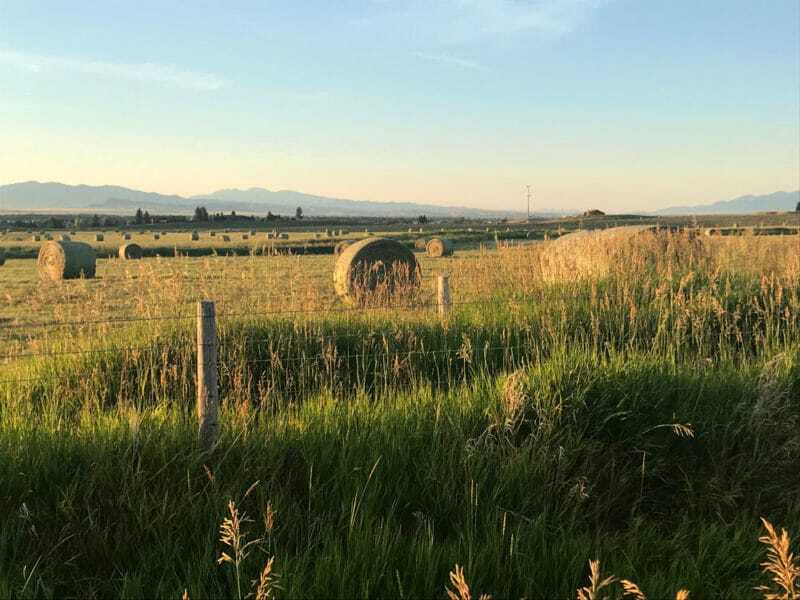 Here’s some insight into why Montana should be on your list of places to visit along with some super fun things to do while visiting Montana! About 12 hours ago, we landed from our 6 day trip to Montana. I decided to go into the office this morning and several people asked me where I went on vacation this time. “Montana…you know, God’s Country”, I said. Intrigued, they asked how I liked Yellowstone National Park. I told them I had no idea…we didn’t visit Yellowstone. So, they asked me how I liked Glacier National Park. Again – no idea…we didn’t go to Glacier National Park. Confused, they were like, “Then why in the world would you go to Montana if you’re not going to visit Yellowstone or Glacier National Park”? 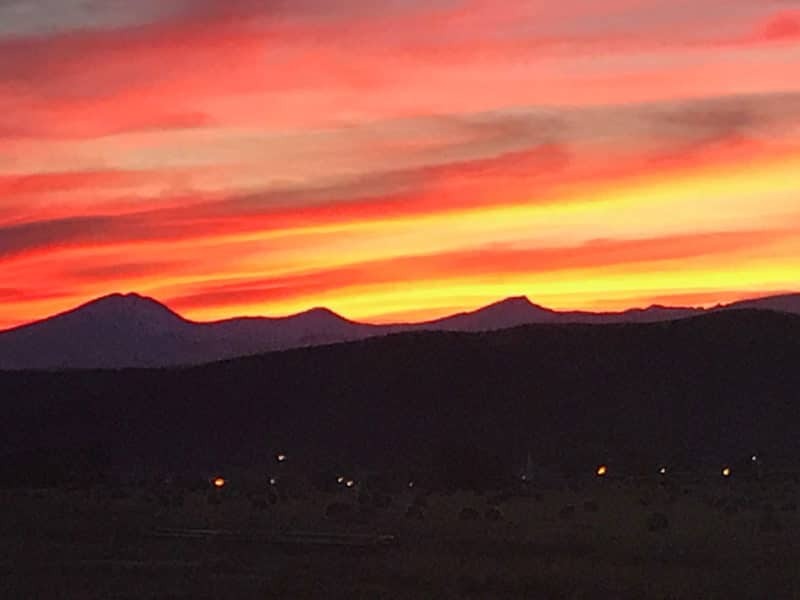 OH MY GOODNESS – there are SO many reasons to visit Montana outside of going to Yellowstone National Park and Glacier National Park! 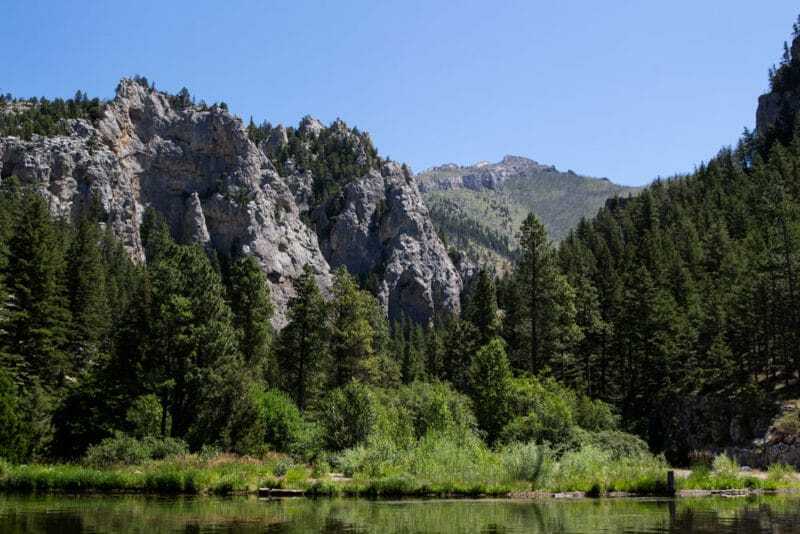 Let me tell you what we did and why you should really travel and explore the state of Montana outside of just solely focusing on Yellowstone and Glacier National Park. Because there’s a lot to do and a lot of beauty to be seen. Catch a flight out of Phoenix. Land in Missoula. Rent a car. Go to the river to do white water rafting. You may or may not know this but I’m not really an outdoors/nature lover kind of person. I mean, it’s fine and all but I’m more of a city girl who likes nice hotel rooms. Or a white sand beach and an ocean. That’s as outdoors/nature as I like to get. But, hubby and I are getting older and our littles are growing up quickly so it’s SUPER important that we explore and experience new adventures as a family and show them all this world has to offer. So I stepped outside my comfort zone and booked a white water rafting trip. Category 3 level! CRAZY, right? We’ve never been white water rafting before but I figured Montana was the perfect place for us to give it our first go. Do you think we had fun? Heck yeah we did! I did a lot of research on which company we should book through and I landed on Pangea River Rafting. And let me tell you, they were fun, friendly and created a TON of memories for us! Just look at us! THRILLED! EXCITED! SCARED!! 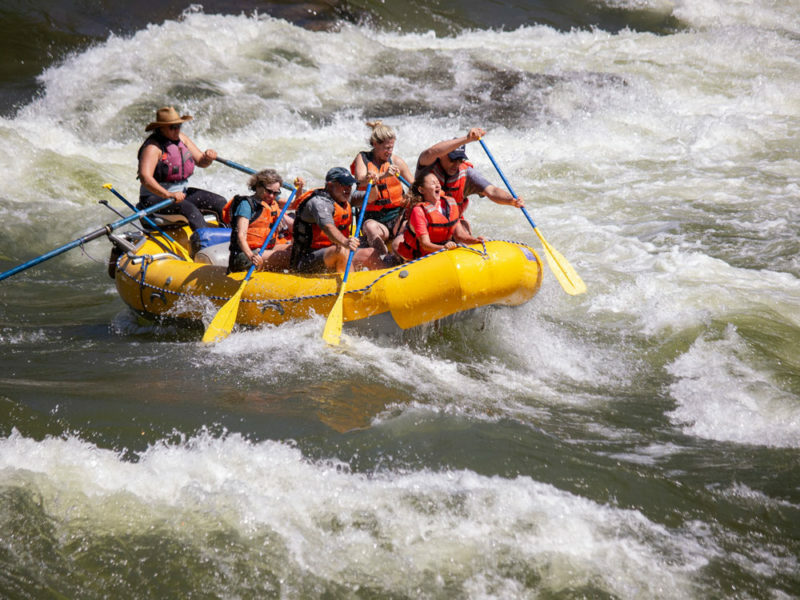 White water rafting…here we come! 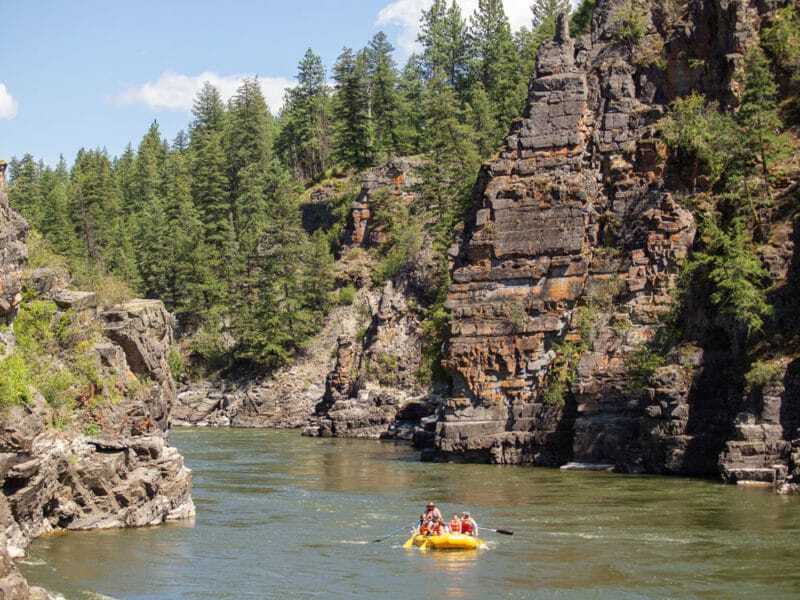 Pangea River Rafting is located right outside of Missoula in a city called Superior. We landed in Missoula, rented a car and drove straight to Superior, which is about 40 minutes away from the Missoula airport. It was a beautiful drive…green, big sky, MOUNTAINS! I had never been to Montana before so this was a new type of beautiful to my eyes. Such beauty this state holds! So we’re driving and we finally get to the white water rafting meeting location. 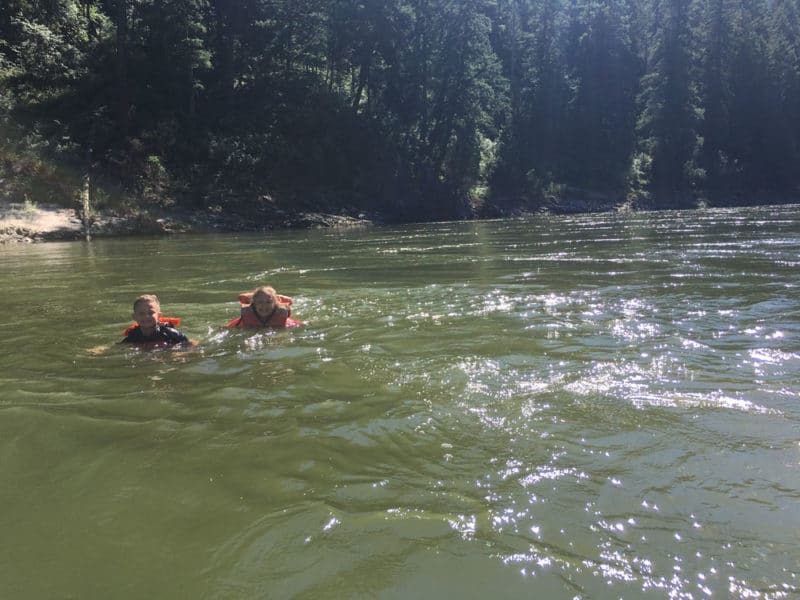 We met our raft guide, grabbed some life jackets and piled in the big ole yellow school bus and drove to the river. From there, we loaded into the rafts and sailed down the Clark Fork River. Side note…this is not where A River Runs Through It was filmed. I sent my dad some pictures of us after we got off the river and he posted on Facebook that we went white water rafting in the river where A River Runs Through It was filmed. Nope! Sorry dad! That was Big Blackfoot River. It’s about a 4 hour drive east of the Clark Fork. 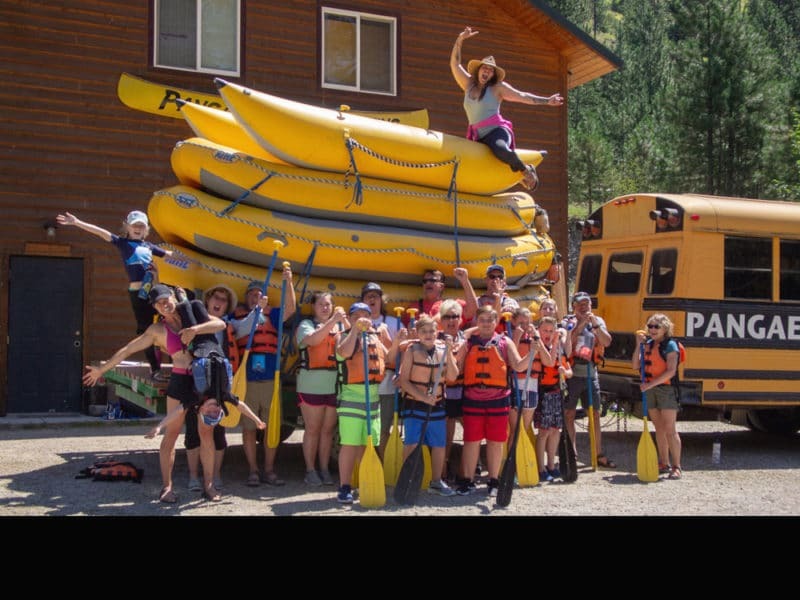 Back to white water rafting…so we’re floating down the Clark Fork river. Seriously…so amazingly beautiful and peaceful. I HIGHLY recommend this stretch for white water rafting. Lots of good category 1, 2 and 3 rapids! And I can’t say enough good things about Pangea River Rafting. They have the most friendly and involved staff! They are all about safety and making sure everyone is safe! Zoe was our raft guide and I loved her. You have to remember…I have 2 littles who have never done anything like this before. I was scared to DEATH that my littles would fall out of the raft or that the raft would flip over! Yes – it happens, quite often actually. But Zoe was all over ensuring my littles were safe while still having a blast! At one point when the waters were calm enough, she handed me her phone in her waterproof carrier and told me to snap a couple of pictures of the kids swimming in the river. She texted them to me. How amazingly sweet was that! MEMORIES – that’s what Pangea and our raft guide Zoe gave us. Amazing, well trained river guides. They focus on safety above all else. They make you feel safe. You get an AMAZINGLY healthy lunch on this rafting ride. They offer some of the coolest packages I’ve seen at a reasonable price! Check them out here: Pangea River Rafting. When I go back, I’m SO doing the wine tasting tour! By the way…I wasn’t compensated in any way from Pangea for this post. Heck – they have no idea I’m writing this post! But I like a good experience and that’s what you get with Pangea. 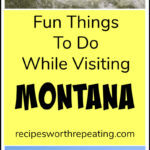 This is a MUST do activity when you’re in Montana! We’re off to Helena! A former co-worker and very close friend of mine lives in Helena and I’ve been promising her for 6 years that I would come see her. And by golly I finally did! I was still pretty tired from the flight and white water rafting on Tuesday so we decided to take it easy and do a boat tour of Gates of the Mountains. Such a peaceful boat ride and let me tell you…we saw a lot of wildlife! 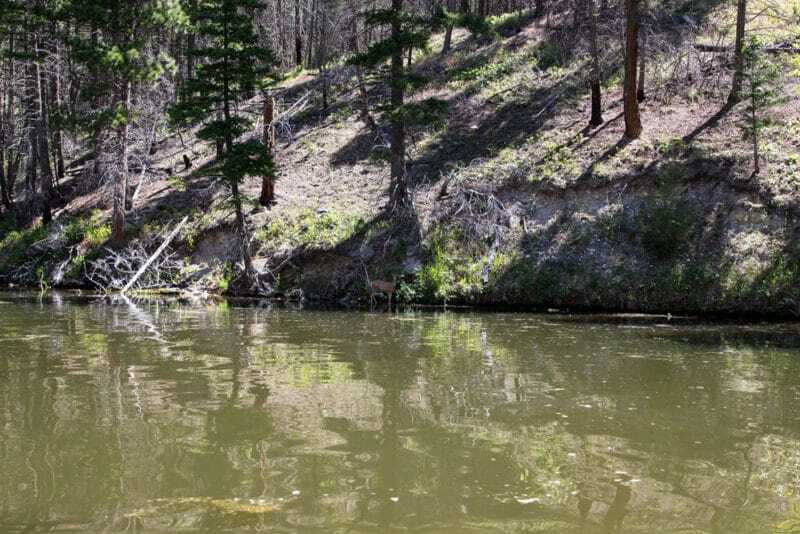 We saw a ton of birds, fish jumping and I even caught a shot of a deer hanging out on the banks. If you look below, you’ll see the deer in the middle of the picture. He just stood there and watched the boat go by. It’s like the wildlife accepted us being in their territory with zero problem. We also saw some Indian artwork on some of the canyon walls. If you look below, you’ll see the red drawings where the Indians painted their visions on the rock walls. 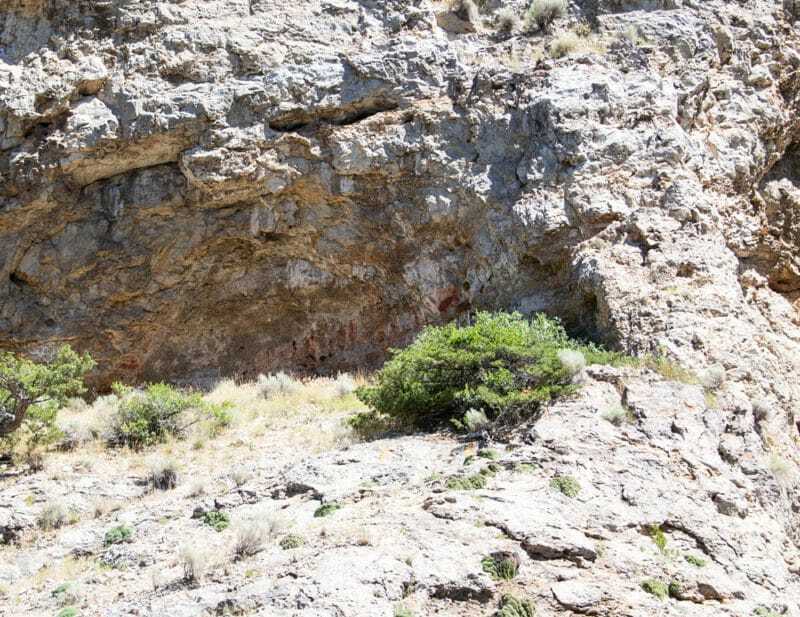 You can see where they painted human-like figures, deer-like figures and geometric designs. I think it’s kinda cool that you can see proof still to this day of Indians being present along this stretch of the Missouri river. Our boat navigator was SUPER animated when telling us about these pictographs. The littles got a kick out of that. Here’s why it’s called Gates of the Mountains. When you’re in the boat going around this specific area, it looks like the mountains are opening and closing. Here’s a visual of what it looks like when the mountains are closing. And here’s a visual of the mountains opening! It was a super cool experience and now I understand why they call it Gates of the Mountains! 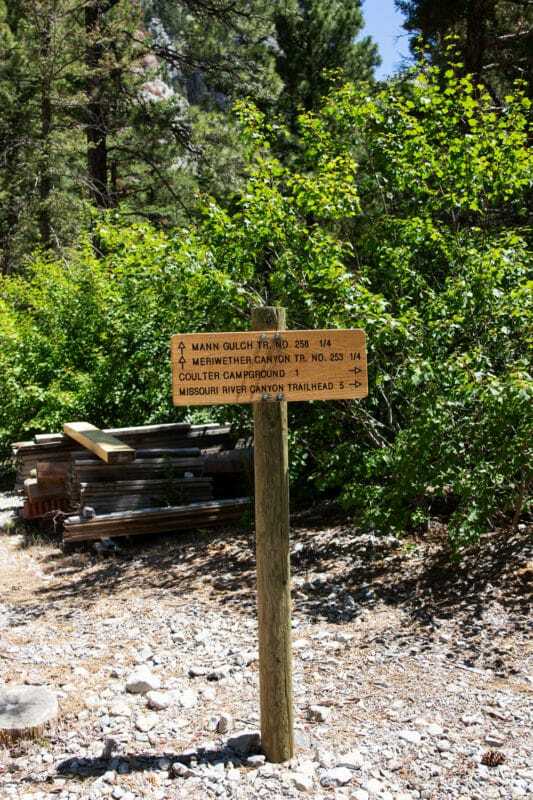 They have hiking trails and campgrounds you can access. 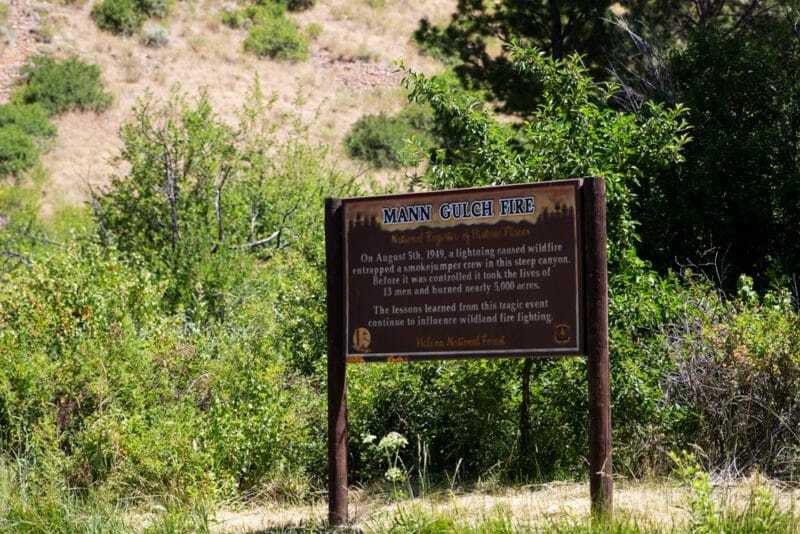 If you’re a history buff, you’ll love hearing about the history of The Mann Gulch Fire. So you know…I’m a foodie. I mean…I run a food blog! I’ve been known to plan my travels around restaurants. I’m just sayin. Yes, happy eats are THAT important to me. When I was planning my trip to Montana, I scoped out some restaurants. I was looking SO forward to eating fresh fish, amazing angus beef steak and potatoes. And while I did enjoy those foods, I ran across this little gem of a restaurant. Look at that sandwich!! I’ve never seen anything like it before! 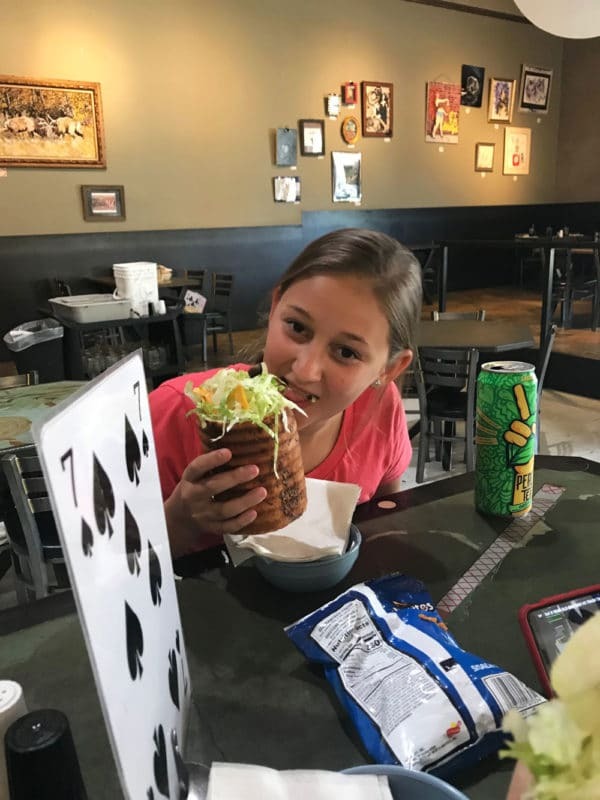 Staggering Ox is a super cool and trendy sandwich shop located in Helena, Billings, Missoula, Kalispell and Butte Montana. It’s a local Montana restaurant and I’m ALL about supporting local businesses! They’re open for lunch and dinner and have an amazing assortment of bread for your choosing pleasure, like the garlic parmesan bread and bacon cheddar bread. They also have 7-8 different sauces you can add on your sandwiches. I chose a garlic ranch on my turkey and cheese sandwich on garlic parmesan bread. SO DELISH! And so unique! 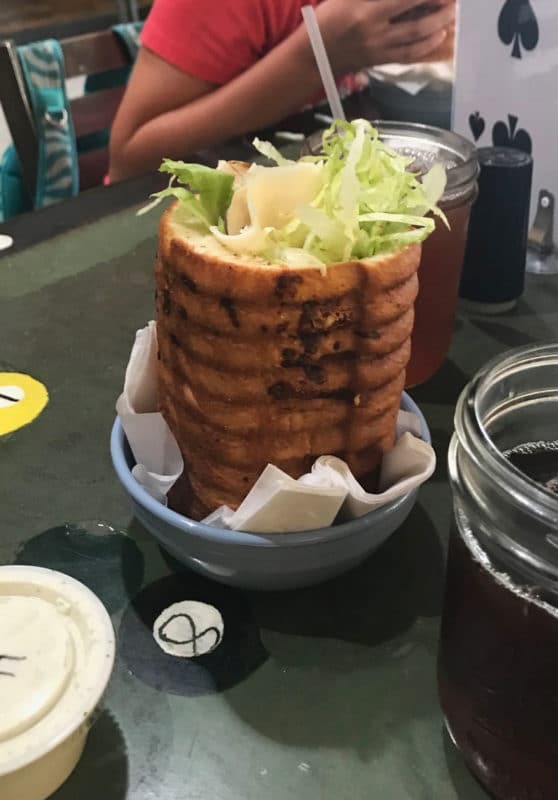 Just look at that sandwich! It’s bigger than my daughter’s head! Such a fun dining experience! If you’re in Montana, you HAVE to eat at Staggering Ox! You absolutely 100% must go horseback riding through the mountains of Montana. It’s a must do activity. It’s such an amazing experience. And it was on my bucket list, check! So, hubby graduated from The University of Montana Western in Dillon, Montana. He played college basketball there and is still in close touch with his old teammates. Dillon is a super small town in Montana and we knew we were seeing his buddies while we were there but in doing my pre-travel research, I wasn’t finding a lot to do in Dillon. And we were staying there for 2 full days! Thank goodness for Facebook! When I travel, I check in and post where I’m traveling to and from. It’s just something I like to do. So when we landed, I started getting all these messages about we should do this and we should do that. One of my husband’s friends messaged me that her aunt owned an equestrian ranch in Dillon way back in the mountains and I should reach out to her to schedule horseback riding! OH I’m so thankful for nice people and good friends! Unbelievable beauty. My point…go horseback riding in Montana. It’s such a fresh and relaxing experience. Like I mentioned earlier, hubby went to college in Montana so he got to live in this beautiful state for 4 years. I have to admit, I’m a bit jealous! 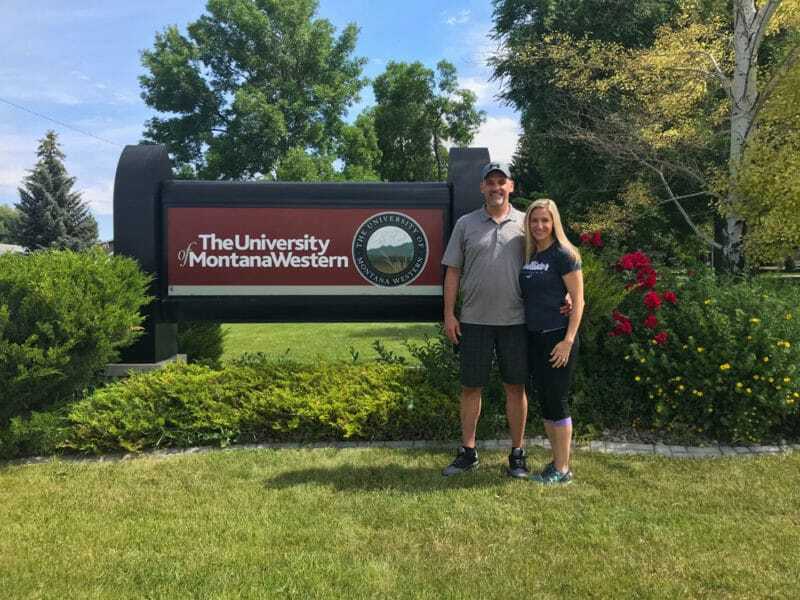 We went to visit his alma mater and snapped a picture in front of The University of Montana Western sign. Such great memories he shared with me! 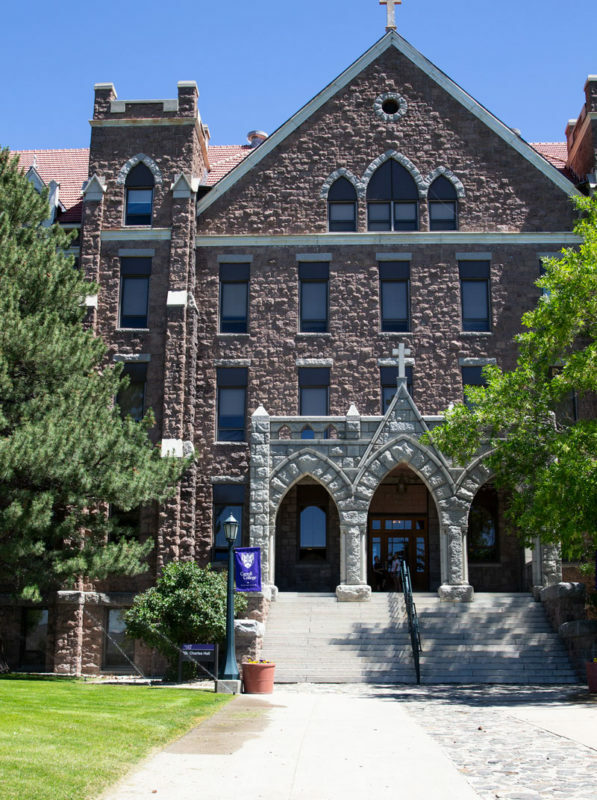 While in Helena, hubby showed me around Carroll College. Such beautiful buildings and architecture! The campus reminded me of some of the architecture I saw while I traveled around England. Check out what I’m talking about here and here. We hung out with friends, relaxed in the pool and played games. I think people should spend more time playing games…myself included! There were about 12 of us playing games all afternoon and evening. Gosh, we had a blast laughing and being competitive! We packed up and flew back home to Arizona. I did laundry all day long lol, but I was well rested and had a constant smile on my face. I Didn’t Do It All!– Yes, I do plan to go back to Montana and visit Yellowstone and Glacier National parks. And dig for gems/crystals. And go on a fishing excursion. Drive for miles and miles. Oh..and go hiking! 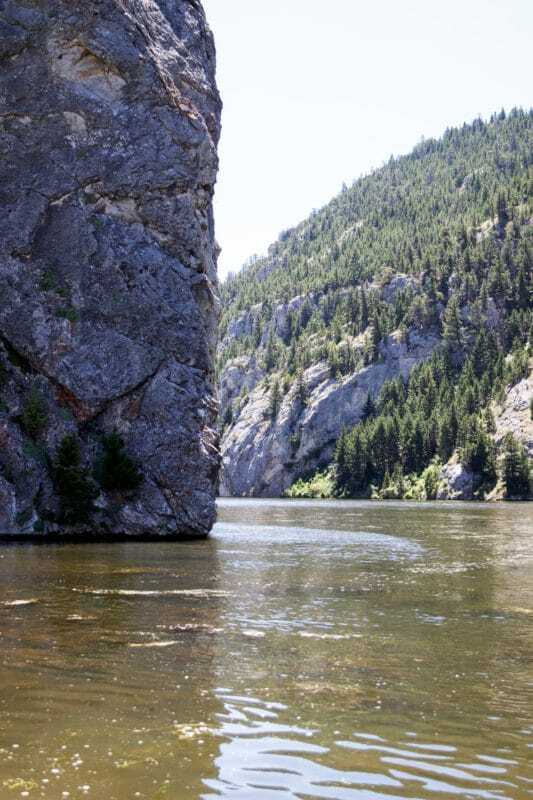 There’s still so much I want to do in Montana! 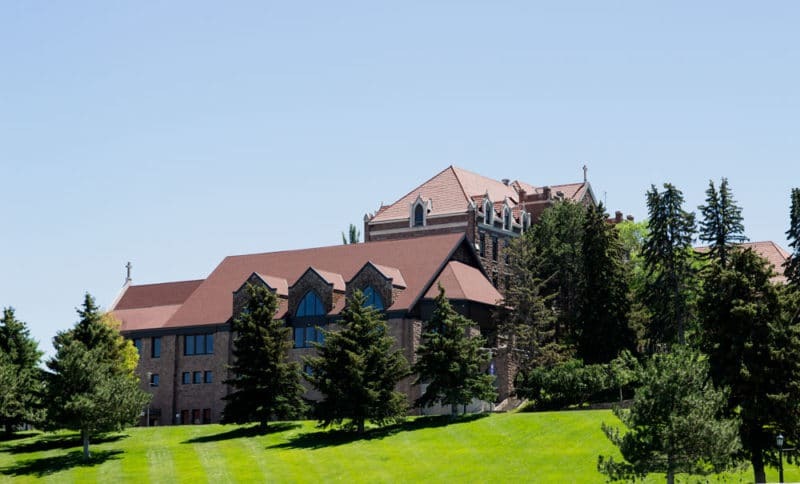 My point…there’s a TON to do in Montana! So you need to visit Montana! Travel – If you don’t travel…you need to start traveling. Hubby and I invest in making memories. We go, see and do because we want to enjoy life and experience new things. Our kids need to see that big world out there. Traveling can teach you a lot of things. Life skills. Think Outside The Norm – When it comes to planning your vacation, it’s always good to get away from the “norm”. Do not get me wrong here, the beach is fantastic but sometimes it’s eye opening to do something different. Go on a hiking trip, plan a camping trip, do a fishing excursion…invest in some fun family “outdoor-see” type things! Remember…this is coming from the girl who’s not really an “outdoor-see”/nature lover kind of person. Take A Break – It is so important to slow down and enjoy a sunset. Our day-to-day routines are insanely hectic and busy. It’s healthy to slow down every once in awhile and enjoy God’s art work. No filter on that picture, btw. And I took this one with my iPhone. Enjoy Life – Slow down, take a deep breath and enjoy the simple things in life. Enjoy those simple things we often take for granted. Wow! These are awesome places. And in this post, you have shared so many fun activities. Now I’m inspired to go to Montana and want to do these fun things. Thanks for sharing this nice post with us! Hi Jessie!! Thanks so much! I’m glad you enjoyed the post!! Montana was just amazing!! Let me know if you end up going there! I’m excited to hear what you do!! !